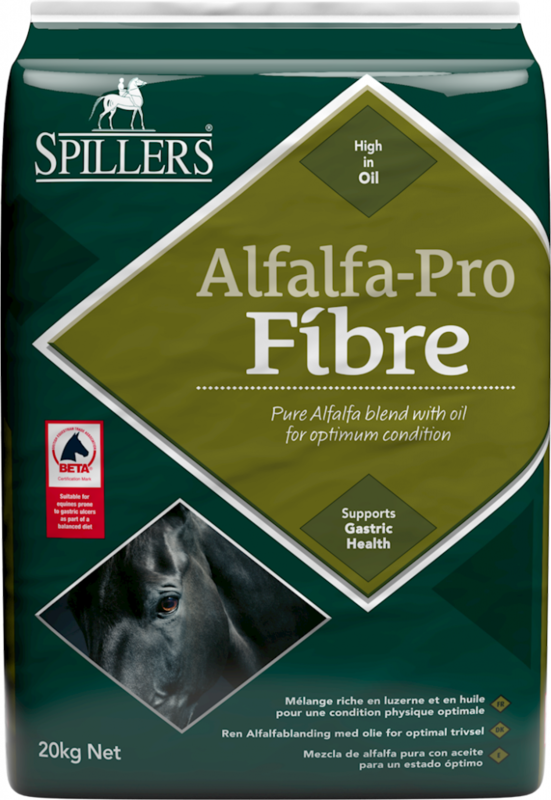 SPILLERS® has introduced Alfalfa-Pro, a high quality conditioning alfalfa blend with oil, supporting horses prone to gastric ulceration. SPILLERS® Alfalfa-Pro is one of only four products in the UK to carry the prestigious BETA Equine Gastric Ulceration Syndrome (EGUS) Certification Mark. SPILLERS® Alfalfa-Pro is a low sugar and starch, fibre and oil blend that can be fed alongside a balancer or traditional compound feed. It can help build condition and slow eating time to support gastric and digestive health. The fibres in SPILLERS® Alfalfa-Pro are of a softer texture than many other alfalfa based feeds, without sharp stalks that may damage the stomach. They have been specifically blended for slow, moderate and rapid fermentation, which, when combined with the buffering properties of alfalfa and extended eating time, help to maintain complete digestive health. Only the finest British alfalfa, that is high in quality protein and organic minerals, is selected for SPILLERS® Alfalfa-Pro. A high level of rapeseed oil is included with added vitamin E to balance it, to enhance coat shine as well as to provide slow release energy and antioxidant support. Feed as much fibre/forage as possible at a minimum of 1.5% of bodyweight (dry matter) per day. Avoid prolonged periods without forage. If extra energy is needed look for feeds that have restricted starch and sugar levels and added oil rather than cereals. Aim to feed < 1g/kg bodyweight of non-structural carbohydrate (NSC: starch plus water soluble carbohydrate) per meal and preferably <2g NSC/kg bodyweight per day. Try to spread meals across the day- multiple small meals are better than one or two large ones. Add chopped fibre to every meal – especially alfalfa which has been shown to help buffer gastric acid. Avoid very stalky sharp chopped fibre which can increase the risk of damage to the stomach wall. Provide a small chopped, fibre based meal or access to forage before exercise to reduce gastric acid splashing up onto the sensitive unprotected upper non-glandular part of the stomach. Turn out to pasture as much as possible. New SPILLERS® Alfalfa-Pro is available from your local stockist. 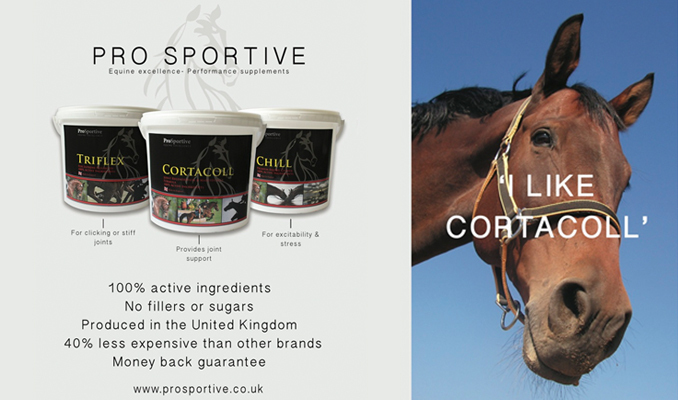 For more details contact the SPILLERS® Care-Line on + 44 (0)1908 226626 or visit www.spillers-feeds.com.